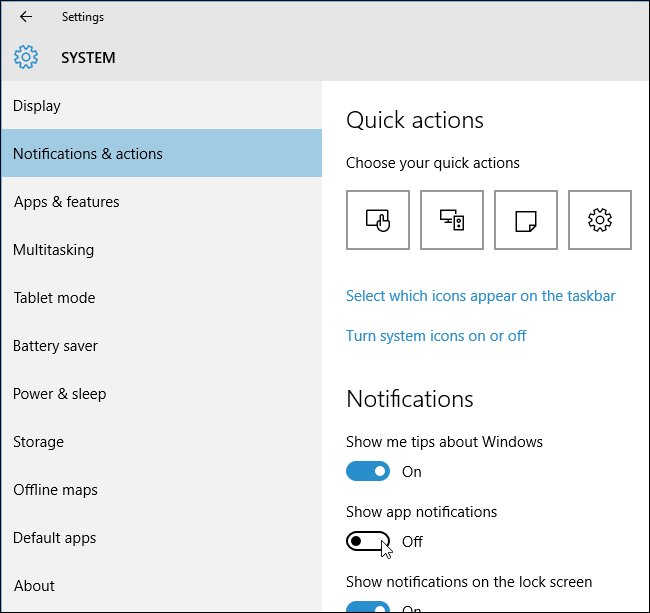 Windows 10 includes enhanced app notifications that can display on the start menu, in the Action Center, and even on a flyout above the Notification bar. The Mail app uses the Windows notification system to notify you of new emails. First, you must make sure app notifications are enabled in Windows. To do this, open the Start menu and click “Settings”. 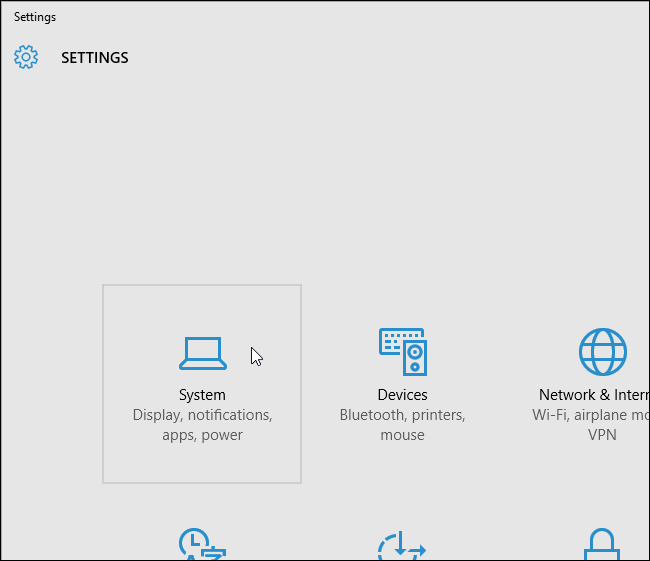 On the “Settings” dialog box, click the “System” icon. On the “System” screen, click “Notifications & actions” in the list of items on the left. To enable app notifications, click the slider button under “Show app notifications” in the “Notifications” section on the right side of the “System” screen so the button changes to “On”. Close the “Settings” dialog box by clicking the “X” button in the upper-right corner. 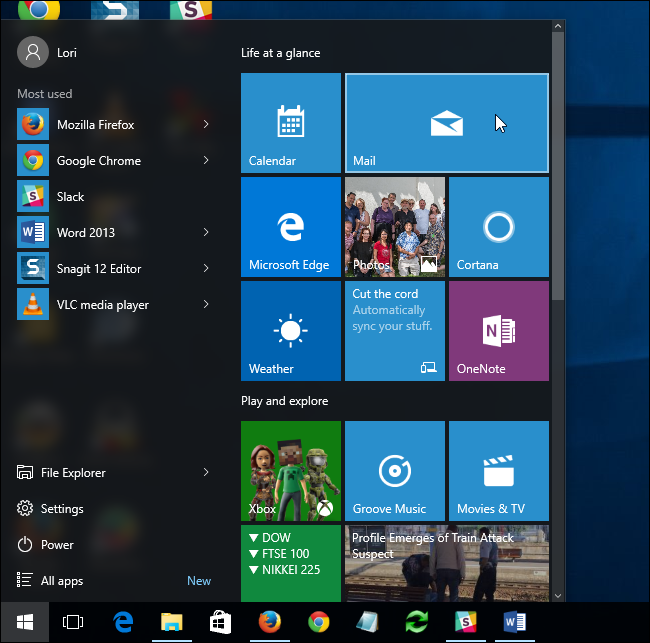 Open the Mail app by clicking the “Mail” tile on the Start menu. 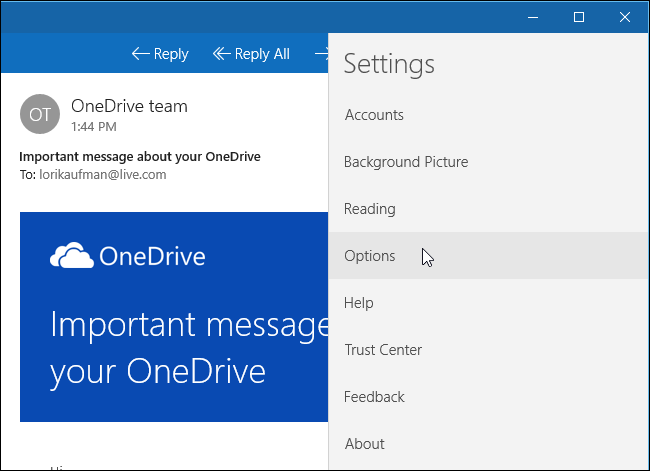 NOTE: If you have the Search box available on the Taskbar, you can enter “Mail” into the Search box and open the Mail app from the search results. At the bottom of the left pane on the Mail app window, click “Switch to settings”. The “Settings” menu pane flies out from the right side of the screen. Click “Options”. Scroll down to the “Notifications” section at the bottom of the “Options” pane and click the slider button under “Show in action center” so it changes to “On”. 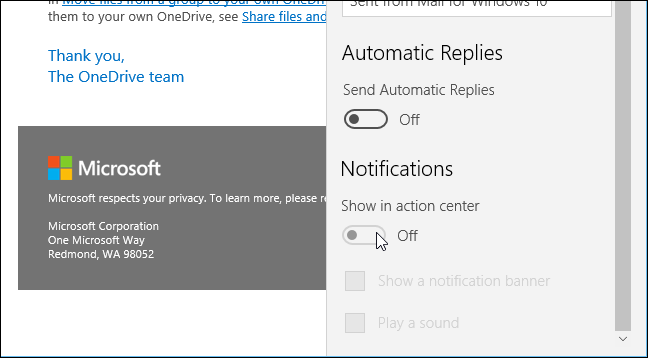 To have Windows display a flyout notification above the notification bar on the Taskbar (as pictured at the beginning of this article) when a new email is received, click the “Show a notification banner” check box so there is a check mark in the box. To close the “Options” pane, click the envelope icon at the bottom of the right pane on the Mail app window. To close the Mail app, click the “X” button in the upper-right corner of the window.